The president's administration may be reluctant to "shame" contractors, but it doesn't seem unwilling to levy big fines. During the Obama administration, Occupational Safety and Health Administration press releases that accompanied safety violation citations and notices of proposed fines were often of the "shaming" variety, according to Edwin G. Foulke Jr., former assistant secretary of labor for OSHA under President George W. Bush. He said the approach seemed to be a strategy to force construction contractors or companies in other industries to retroactively take a look at their safety programs and tighten them up before an OSHA inspector made his or her way into their workplaces. Last year, Foulke told Construction Dive that OSHA’s use of what he considered inflammatory language in press releases did not foster safe work practices. Instead, he said he believed that OSHA should take a more proactive approach to helping businesses comply with safety rules and regulations. That's ostensibly the position the "new" OSHA took once President Donald Trump was sworn in. The flow of press releases stopped completely for a while and when they resumed, what some considered aggressive language in OSHA statements seemed to be replaced with a more factual, straightforward tone. However, that doesn't mean OSHA stopped citing and fining companies. In fact, since Trump took office, OSHA has proposed some of the biggest penalties in recent years. Ten of the biggest construction industry fines, based on the most recent OSHA records available, range from approximately $1.5 million to a little more than $271,000. Fall protection violations and trench violations make a strong showing on the list, as does the fact that many of these citations and proposed fines are being contested or negotiated down as part of informal or formal settlement agreements. The $1.5 million-plus fine OSHA proposed for Great White is actually two fines combined – one for citations totaling $850,128 and the other for citations totaling $673,582. But both were issued Aug. 1, 2017, after earlier inspections at two of the company's job sites. The violations were primarily for fall protection and eye hazards, but the company has been cited 22 times for these same issues since 2012. This has landed the commercial and residential roofer in OSHA's Severe Violator Enforcement Program, through which it will be subject to increased inspections and monitoring. While Great White's two big fines pushed Atlantic Drain to second place on the list, it is actually the recipient of the biggest single fine OSHA has issued since Trump took office. In October 2016, two Atlantic employees were killed when the trench in which they were working collapsed. Due to the cave-in, a fire hydrant supply line broke and filled the space with water within seconds. In addition to the proposed fine, OSHA cited Atlantic for 18 safety violations, including not implementing adequate trench safety measures. The Atlantic case also spurred passage of a new Boston regulation that requires contractors to disclose their safety histories when applying for any building permit in the city. Atlantic allegedly had prior safety violations. Atlantic and company owner Kevin Otto have since been charged with manslaughter in relation to the deadly accident, but attorneys for the company and Otto requested last month that the charges be dismissed because evidence from construction experts – who might have been able to uncover other causes for the collapse – was not presented to the grand jury prior to the indictments. Atlantic is also contesting the OSHA fines and penalties. Like Great White, Arrow Plumbing's total penalty is made up of two separate fines – one representing $420,083 of citations and the other representing $294,059. Both are being contested. In December 2016, an Arrow employee died in a trench collapse, which kicked off an OSHA investigation that eventually led inspectors to a second work site a month later where, despite the prior loss of life, the agency said Arrow was still exposing its employees to trench dangers through failure to install a support system to protect employees from cave-ins, provide a ladder for egress and train workers on how to identify hazards. The agency issued Arrow a total of six willful and eight serious violations. The Kamphuis Pipeline Co. case is an example of OSHA proposing huge fines even though there have been no recorded injuries or death. During an inspection of Kamphuis' North Dakota project sites in September and October of 2017, OSHA said employees were installing water-metering pits and lines while in danger of trench cave-ins and other serious hazards. 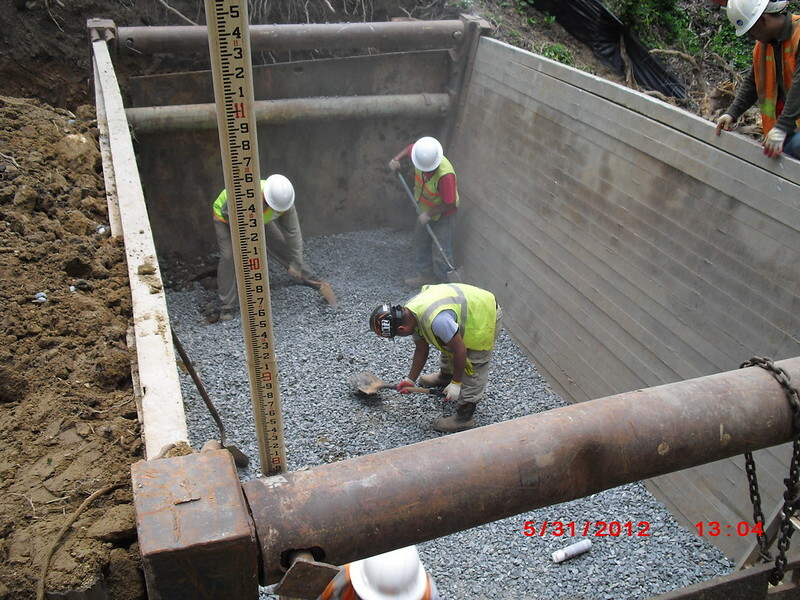 The OSHA citations – a combination of willful, serious and other-than-serious – charged Kamphuis with failure to identify and correct hazards; use proper trench protective systems; protect workers from struck-by hazards and locate piles of excavated soil a sufficient distance from trench edges. Kamphuis is contesting the citations and fines. In February 2017, OSHA issued roofing contractor Barringer two fines just a few days apart for a variety of safety violations, with an emphasis on fall hazards. The first fine was in the amount of $205,544, but that figure was negotiated down to $58,000 as part of a settlement. The second, $223,873 fine, was lowered to $66,000. Just before Trump took office, OSHA issued Barringer a separate, $214,782 penalty, along with four willful and two serious safety violations, for fall hazards, lack of eye protection and failure to have a safety plan. Those citations combined with Barringer's previous safety record prompted OSHA to place the company into its Severe Violator Enforcement Program. Barringer settled that case with OSHA as well. On Oct. 5, 2016, according to OSHA, one of contractor Gateway Building Systems' employees fell 125 feet to his death from a raised platform while he was working on top of a grain elevator. The agency issued Gateway the hefty fine, along with six willful and two serious violations at the end of last month. The company is contesting all of OSHA's penalties. Commentary from OSHA about the case has been limited, but three of the Gateway citations relate to fall protection, two to structural steel assembly, one to general requirements, one to falling objects as it pertains to steel erection and one for training. According to OSHA inspection reports from July 2017 to November 2017, contractor Manafort Brothers did not take the necessary precautions to protect workers from chemicals during the demolition of a mercury boiler on a project in New Hampshire. The near-$330,000 proposed fine came with two willful and six serious violations. In response, Manafort, aside from challenging the fines and citations, said it stopped work on the project in June 2017 to evaluate its safety procedures and retrain workers. OSHA issued Jasper a total of two willful, two serious and one repeat violation, the last one likely based on previous run-ins with agency investigators. OSHA cited Jasper previously for many of the same violations, including fall protection hazards, in April 2016. Guallpa is a roofing contractor based in Massachusetts, but it was on a New Hampshire job site in September of 2017 that OSHA investigators determined the company was exposing its employees to hazards like working on a roof without adequate fall protection, unsafe use of ladders and lack of head protection. According to OSHA, Guallpa was cited for similar violations in 2014 and 2015, so the agency cited the contractor for one repeat violation, along with two willful and two serious violations. Like the majority of contractors on this list, Guallpa has contested the citations and fines. OSHA has areas of focus called National Emphasis Programs and sometimes steps up inspections and enforcement around these specific safety issues. As part of an emphasis on excavation and trenching safety, agency investigators inspected a Jax Utilities Management site in August and October of last year after an employee was injured in a trench collapse. OSHA cited Jax for willful and serious violations for not providing adequate trench protections and for allowing water to accumulate in the trench, which allegedly caused the collapse that injured the company's employee. Jax has also been placed in the Severe Violator Enforcement Program. Jax did not contest the fine or citations, and is working on abatement instead, having established a penalty payment plan with OSHA based on a reduced fine of $135,836.